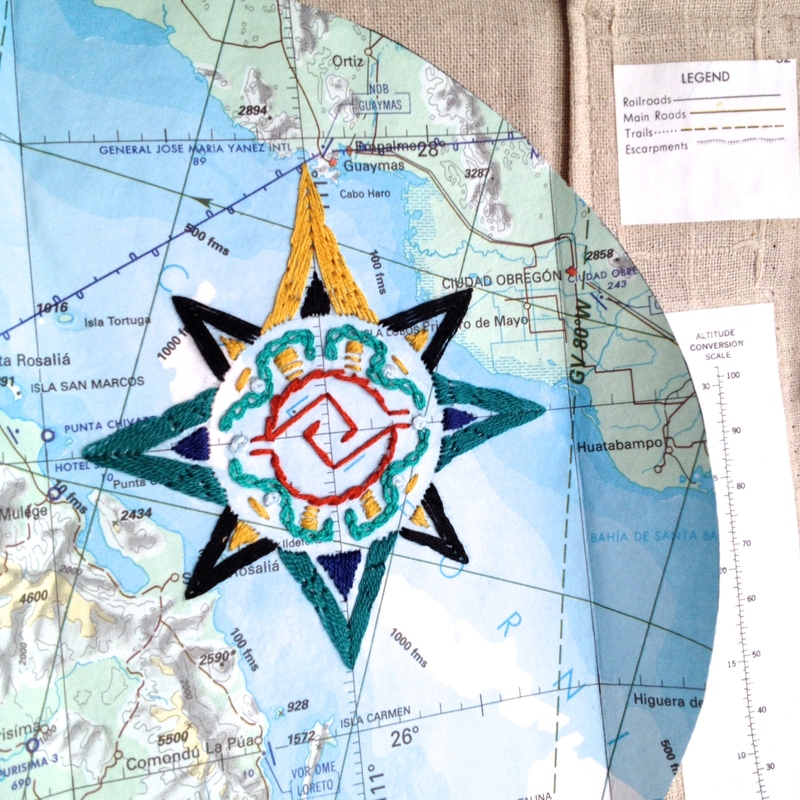 I’ve hand embroidered an old world, Aztec-style design of a compass rose onto the map in deep turquoise, gold and lapis blue colors. The best part of this project is I’ve been able to use materials already in my studio stash! 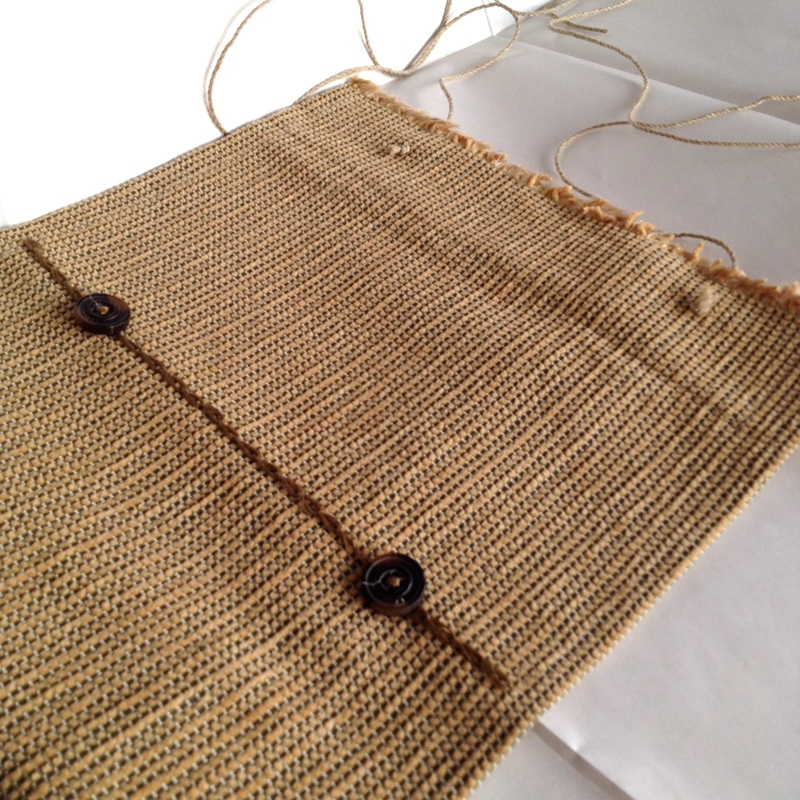 A thick upholstery fabric for the book body, coordinating threads, maps and glue mediums. Over the years I’ve collected a large stack of beautiful maps and feel like I’ve finally found a use worthy of them. 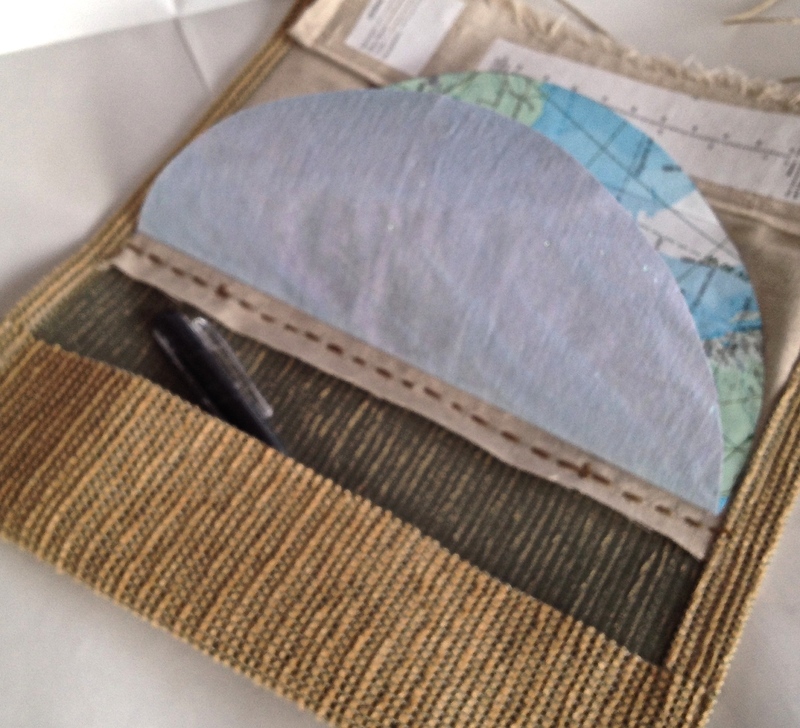 The book cover includes a pocket to hold the map edge, for a pen, or other navigational tools. 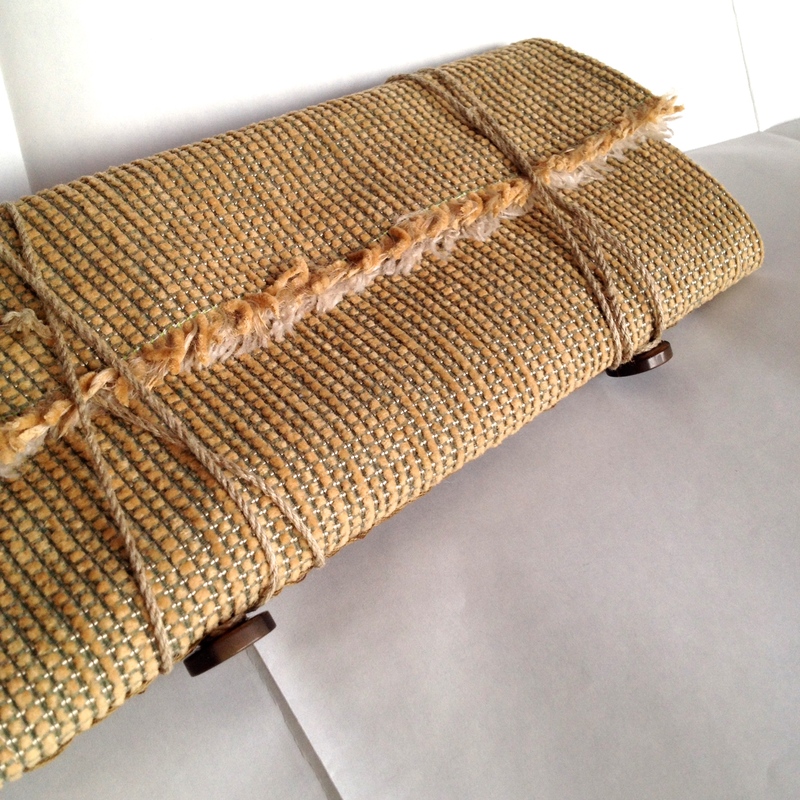 It all folds up into a neat roll approx 25cm x 11cm using a bit of natural string and strategically placed buttons to wind it closed for safe keeping. Testing, Testing…My First Art Book!